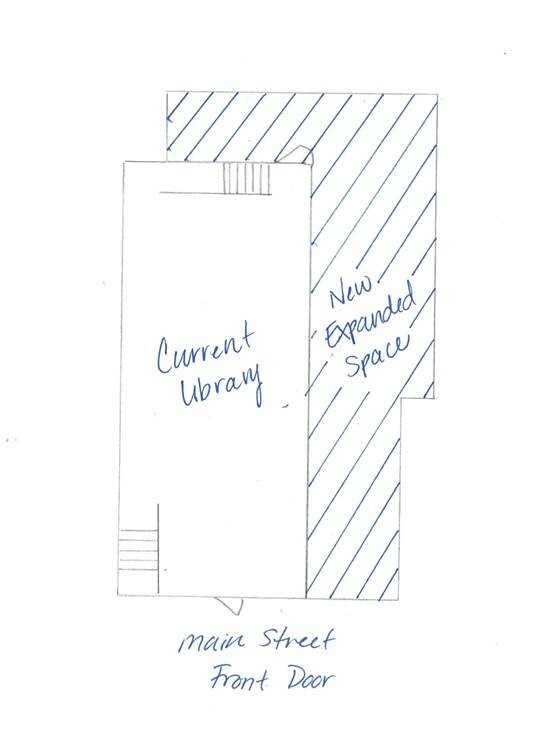 For a number of years now, the Brandon Public Library (BPL) has been exploring options for expanding in order to meet library patron needs. An Expansion Committee was formed to survey sites and options. It was decided to stay on Main Street in the historic building the Library has been in for over 105 years. A Friends Group was formed in 2017 to support, advocate, and to take on some fundraising needs of the library. May 25, 2018: The library purchased the alleyway for the expansion. Building into the alleyway, will more than double the space we currently have. When the purchase of the alleyway was finalized, staff, Board of Trustees, Friends, and Expansion Committee jumped into action. We’ve been working on layouts, library visits and working with an engineer and architect. September 21, 2018: Staff will be attending Library Journal’s Design Institute – a Minneapolis day-long seminar and start planning the library of the future today. October 9, 2018 from 6:00 pm – 8:30 pm: Library Expansion Kickoff Party join us at the Brandon School Auditorium where we will discuss who we are, what we’re doing, why we’re doing it, the need. Food provided. The design for the expanded and remodeled library is still in the works. A library rendering is being worked on and will be shared with the public when made available. Current Library is 927 sq. ft. and the expansion is approximately 967 sq. ft.
As we’re still working on the rendering, we don’t have a dollar amount goal yet, however, I am grateful to announce Harold Kurtz, author of the five Brandon inspired, has announced a $100,000 match pledge -- we need to raise it - to match it! The pledge is a gift from the estate of Sanford “Sandy” Moss, a good friend of Harold and Grace Kurtz, who visited the Library a number of years ago. He left his estate to charity with Harold and Grace as the trustees. Although Harold and Grace do not live in the area, Harold spent some of this childhood years here and his heart has never left the village. Without soliciting, we have raised nearly $6,900 towards the match (as of Sept 2018).